The U.S. media and entertainment industry is a $703 billion market comprised of businesses that produce and distribute movies, TV, commercials, streaming content, music, radio, books, video games, and more. It is expected to reach over $800 billion by 2021 according to PriceWaterhouseCoopers. The purpose of this document is to provide you with extended knowledge of the entertainment industry as it relates to promotional products, as well as offer tips to help expand your cap sales into the market. In this guide, we will look at different aspects of the entertainment market, so that you will have a better understanding of how to target each. Today, you will learn how to reach out to common decision makers in various theaters, parks, and festivals. Next time, we’ll look at promotional sales to casinos, resorts, and media outlets. Wholesale hats can be used by movie theaters, performance arts centers, and other venues as a part of the staff uniform. In regard to movies and music, you can also reach out to any film or recording studios in your territory to provide caps to advertise upcoming pictures and projects. Centers for the performance arts are theaters that house ballets, musicals, plays, operas, orchestras, and more. Other venues like convention centers house everything from concerts and magic shows to comedy shows and political rallies. Staff members at these venues can use wholesale hats as part of their uniform as well. You can also reach out to the talent to provide caps that will be resold at the event’s merchandise booth. A lot of famous venues are tourist attractions themselves. For instance, Madison Square Garden and the Grand Ole Opry are highly well-known locations. You can provide caps branded with the venue’s name or logo to be sold to visitors as well. Amusement parks are another great venue to push wholesale hats as part of the staff uniform as employees will spend the majority of their time outside in the elements. Some caps are made with certified fabrics that protect the wearer from the sun’s harmful rays, so be sure to offer this as an option when meeting with your potential buyers. Headwear can also be used as a part of a welcome gift for new employees who won’t be in a park uniform, such as those in character costumes. Fairs and festivals are often traveling entertainment or annual events, but you can still provide promotional hats as part of the employee uniform. State, county, and local fairs can sell the same type of caps as amusement parks—promoting the fair’s rides and other amenities. Festivals include everything from Burning Man to Coachella. You can reach out to the headliners and other talent to try to get your products included in their merch sales. 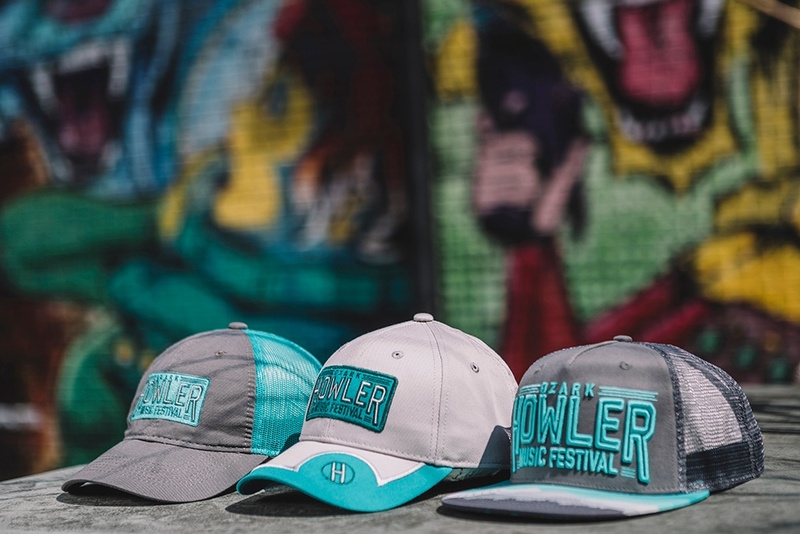 You can also get in touch with the owners of the festival, or its venue and try to go that route selling souvenir caps that they can pass out to attendees or turn for a profit. Either way, the hats will generate a lot of advertising impressions for future festivals. Check back over the next few weeks as we dive into local and national television, radio, news, and more. If you haven’t sold into the entertainment market in the past, I think this series will open your eyes to the vast number of opportunities out there. If you want more information on selling promotional caps into the tech industry, order a Business Development Kit today! What other industries would you like to see us cover in the future? Let us know in the comments below. Don’t forget to follow us on Facebook, LinkedIn, and Twitter.